Whether you need to replace old, worn-out paint or want to create a totally new look, painting your home’s exterior is a fun and rewarding process. 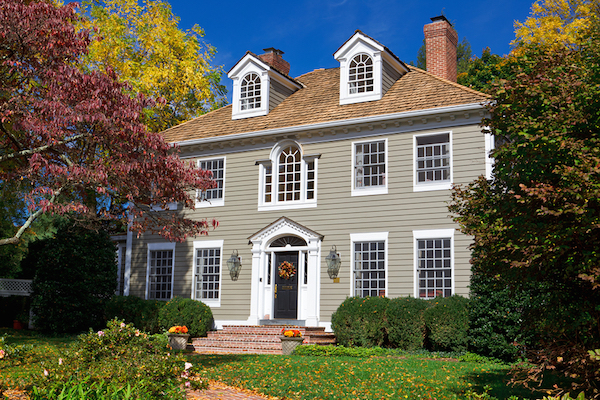 Exterior painting transforms the look of your home into an expression your own unique tastes. There are any number of creative ideas to choose from, so whether you prefer a clean, crisp white or a bold red, you can create a look that not only grabs the attention of guests, but is a joy to come home to. Besides your own creativity, other factors also play an important role in your choice, such as the style of your home and even the area you live in. While the actual painting process is best left to qualified professionals, you get to pick the colors they use to create the look of your dreams. Everyone has a preference when it comes to color, and it’s rewarding to tie it in perfectly with the area you live in and the style of your home. For example, do you live in the suburbs and enjoy the modern look? Beautiful ambers, deep greens, and grayish blues create a simple, sleek look that draws compliments from guests and neighbors. If you live in the country, you may enjoy a quaint farmhouse look or a paint scheme inspired by the natural surroundings. Different paint finishes perform best on specific parts of a house or on certain types of material, and it’s important to be familiar with those differences. For instance, a flat or matte finish is generally used for siding, while a glossy finish is typically used to accentuate doors and trim. Whatever look you decide to create, a professional company with experience in exterior painting makes achieving your goals as easy and fast as possible. Once you’ve chosen your color scheme and the look you want to achieve, you’ll be well on your way to having a home that’s an expression of your own individual style.